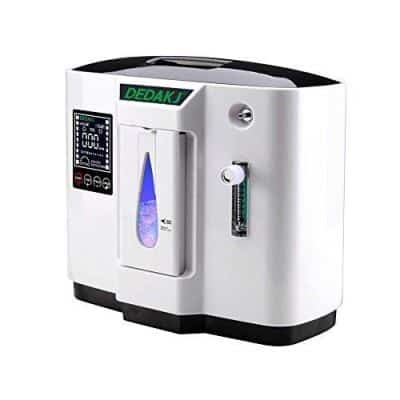 In this detailed guide we list and explain important features or factors you should consider and the many benefits you’ll get when choosing or buying the smallest portable oxygen concentrators. There are millions of people who suffer from different breathing conditions in the world. When you have difficulties taking in enough oxygen, it can make your life very difficult. Even getting out to do simple things can be very tough when you need to stay near a source of oxygen to prevent severe breathing issues. Thankfully, medical supply companies have produced portable oxygen concentrators that can help people to regain their personal freedoms. You have very likely seen portable oxygen concentrators being used somewhere. These convenient portable sources of oxygen help people with severe breathing issues to be able to get out without having to worry so much. It makes a huge difference in the lives of so many people and you will want to consider getting one if you are in need. Your personal physician will be able to give you a prescription for a portable oxygen concentrator, also known as a POC, and will ensure that you get the right mix of oxygen for your situation. That being said, there really is quite a lot to consider when you are buying your first POC. These units are not all built the same and there are various differences that you should be aware of. Finding the right POC that is going to work well for you can really make your experience that much better. This is why taking the time to learn more about the options that are available makes a lot of sense. Continue reading to discover everything that you need to know about buying a POC. This information is going to help you to choose an appropriate option for your needs. Having access to all of the information allows you to make a truly informed decision. You’ll feel much more knowledgeable about the subject and will be able to move forward with full confidence. Before you do anything else, you need to talk to your doctor about getting a prescription. This is pretty much common sense but you are going to need a doctor’s prescription to be able to get one of these convenient medical devices. Your doctor will base your prescription off of your particular needs so it will be tailored to your oxygen requirements. Different patients are going to have different needs for oxygen and there are two types of POC units that you should be aware of. 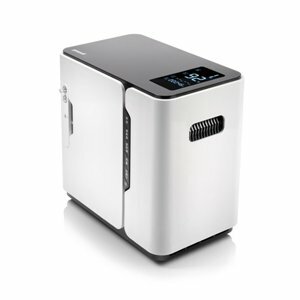 The first type of personal oxygen concentrator is known as a continuous flow model. This type of oxygen container is going to constantly output oxygen for you. The next type of POC is known as a pulse dose unit. The pulse dose unit will dish out the oxygen when it detects that you are breathing. This type of POC is better at conserving oxygen but some people with severe medical conditions will really need the constant stream of oxygen that is provided by the continuous flow. It should also be pointed out that a prescription for a pulse dose personal oxygen concentrator is not going to be valid for a continuous flow model. This also works the other way around so you need to purchase the type of POC that your doctors think that you need to have. They will be prescribing your POC based off of your medical data so it is important that you have the right model. Being able to get the oxygen that you need is very important and it needs to be delivered in the proper fashion to be effective. You will also notice that there will be a certain number associated with your POC on your prescription. The amount of oxygen that you need is measured by LPMs. This stands for liters per minute. Some people might need two liters of oxygen per minute whereas others may need three. Now that you understand the particulars of your prescription and how it works, you will be able to move on to looking at other factors that separate the different POC models. Battery duration is a very important thing to consider when you are buying a POC. As you are aware, these POC units are meant to help you get around and regain your sense of freedom. The battery of your personal oxygen concentrator is going to play a big role in determining how far you will be able to go from home. If the battery duration is too short, then long trips will simply not be practical. Some batteries are going to be more long-lasting than others. You will certainly want to do your research ahead of time so that you can plan accordingly. There are many people who simply use their personal oxygen concentrators to help them make trips to the grocery store and to perform other practical errands. Many of the short battery durations will make it so that going out to see a long movie will be impractical. Even so, there are POC units out there that have decently long battery lives. If you can find one that will allow you to be out and about long enough, then it will be very beneficial. You want to be able to enjoy your life as you see fit so keeping the battery life of your unit in mind is crucial. You may also want to look into battery pack compatibility. It is possible to buy extra batteries for your POC unit that can help you to stay out somewhere longer. This is good for when you want to be able to go on a long shopping trip or some other type of social excursion. Your POC should also be able to be charged up in your car through either an AC or DC adapter. The battery life is still crucial, though, as you are not likely going to be tethered to the car for the duration of your time out. The size of your POC is another very important thing to keep in mind. Many people will not be happy if they are given very large POCs as this can make traveling around a bit more inconvenient. You want to be able to purchase the smallest POC that will work for your needs. A smaller type of personal oxygen concentrator is going to make toting it around less of a hassle. Most POC units are going to be portable enough to be practical but the smaller it is, the better. You want your POC to be able to fit exactly where you need it to go easily and you don’t want it to get in your way elsewhere either. Modern POC units are usually pretty small in comparison to some of the older models. You should be able to find a POC unit that is small enough to be practical for you so just take the time to examine all of the different options. Those with more severe problems may need slightly larger POC units, though. Just try to do your best to choose the smallest unit that will fall within your prescription range. The goal of using a POC is to help you get out and to make things more convenient for you. Don’t let an oversized POC limit your freedom of movement any more than you have to. Also, don’t let the talk of size worry you too much as most POC units are going to be perfectly acceptable for an average person. The weight of your POC is likely going to be an even greater concern than the overall size. Size and weight do tend to go hand in hand, though. If you purchase a POC that weighs more than you would like it to, then it is going to make things difficult for you. This can wind up causing you problems when it comes to toting the POC around a store or any other location. If you cannot comfortably move around with the POC, then it is not going to be all that helpful to you. You need to be able to move it around easily in order for it to truly meet your needs. Of course, some people are going to be less bothered by the weight of a POC than others. There are many factors to consider, such as your own strength and size. You definitely need to purchase a POC that is convenient for you to use so take your time to pick out the right unit. It is important to look at the unit in question and get a feel for how heavy it is before you buy it. If you were to just buy it after reading the features and specifications, you might not really get a good idea of how much it weighs. You want something that is light enough for you so that it will not feel as if it is a burden. Do your best to test out the weight ahead of time and everything should be just fine. This is very much related to the weight issues of certain POCs but you will want to try everything out before you buy it. Many companies will allow you to test out a POC before you make an ultimate purchasing decision. This can be very useful as it allows you to get a good feel for whether or not the POC is going to work well for your needs. If it isn’t the right unit for you, then you can simply give it back without having to deal with any annoying consequences. You don’t want to purchase a POC and then have buyer’s remorse after just a few short weeks. Testing out a POC for a small trial period can help to prevent mistakes. You can really determine whether or not the weight, the size, and the battery life of your POC will work well for you. Finding a company that will allow you to test a POC is definitely possible so take the time to look into your options. Most people are able to find a POC that works well for them using this method. Even if you cannot find a medical supply company that will let you try one out at home, you will often be able to test them out in a store setting. You can move it around and feel it in your hands to determine if the weight feels as if it is too much. Doing this at the very least is highly recommended. It can help you to avoid potential problems down the line and will make your POC purchasing experience a lot more pleasant. Of course, it is very important to make sure that your health insurance company will cover the cost of your POC. Most people are not going to want to pay the full cost of a POC out of their own pockets. As long as your doctor is giving you a prescription for a POC, it is likely that your health insurance company will cover everything. Some health insurance companies will cover more or less of the cost of a POC but you should certainly do your research ahead of time. It might be the case that some POC models are covered by your health insurance company while others are not. The best thing to do in this situation is to call your health insurance agent to get more information. It should be possible to get a list of approved and covered POC units. This will allow you to see which models you are going to be able to choose from. Both the insurance agency and your doctor should be able to point you in the right direction when it comes to finding a medical supply business too. Once you know that you will be able to get a POC that is covered by your insurance, then you can move forward without having to worry. This is going to make getting out a whole lot easier and you will be able to have a smooth experience. You can start considering the other factors mentioned above and will be able to pick out the best unit that suits your personal needs. Take your time when making the decision as this is something that you will be using every single time you leave your home. You want to get the choice right so that you can have the best experience possible. If you are still worried about the cost of purchasing a POC unit, then you may wish to look into used or refurbished models. There are going to be many people who will not consider purchasing a piece of medical equipment such as this if it has been used in the past. Even so, this can be a good idea if you are working on a budget and want to save yourself some money. Certain medical supply companies may offer used or refurbished POC models at a fairly substantial discount, meaning that you can hold onto more of your hard-earned money. You will still want to take your time to pick out the best unit just as you would if you were getting a new model. Find a POC that has the right specifications for you and everything will work out just fine. It is simply up to you to decide whether or not you are okay with it not being a brand-new product. In many cases, the POC was used as some type of a rental or trial POC to allow a patient similar to you to test things out before making a purchase. If you think of it in this way, then it becomes a lot easier to accept the idea. Being able to save money is certainly going to be an important factor for many people. Not everyone is going to have an unlimited amount of money to spend on a POC so you will want to combine your insurance coverage with getting as great of a deal as you can. There should be a good option out there that will meet your needs whether you are looking for a new or a used POC. Just know that there are alternatives to buying a brand-new unit. Sometimes people wind up buying a POC from a medical supply store and find out that it is refurbished. It can make people mad to discover this if they were not told up front. This isn’t going to happen to you at every place that you go to as many of the most reputable medical supply businesses are always going to be very up front with their customers. Be that as it may, you can also choose to simply reach out to the manufacturer directly. Contacting the manufacturer directly will allow you to ensure that you are purchasing a new product. If getting a completely brand-new POC is important to you, then you may want to go this route. You can speak to the manufacturer about your prescription and will be able to get their best POC unit. Doing this may not be an absolute necessity but for some people, it may wind up being more convenient than purchasing a POC from a store of some kind. Contact the manufacturer to get your POC can cut to the chase when you know what you want to buy too. If you already have a specific unit in mind after doing some research, then it is sensible to contact the people who are actually making it. Just remember that this is an option and you will be able to get the perfect POC for you soon enough. Now that you know about the various things that you need to look out for when choosing your Portable Oxygen Concentrator, it is going to be important to know the many benefits that are associated with owning one. If you are on the fence about whether or not one of the POC units is going to help your life, then you should keep the benefits in mind. These devices are truly beneficial and have helped the lives of millions of people around the world. Being able to get out and about without having to worry so much is liberating. Oxygen is very important and you need to make sure that you have the right access to breathing assistance at all times. Before purchasing a POC, your breathing needs have likely kept you tethered to devices in your home or wherever you are currently living. The ability to use a POC frees you up to go out and explore the world again. Being able to get out to have some fun when you are in the mood is very important. You don’t want to feel as though you are completely stuck inside all of the time due to your oxygen issues. The right POC is going to make it practical to go out and have dinner with friends or to do other nice social activities. It can also make running errands practical once again so you won’t need to rely on others for help quite as much. You should feel up to doing more activities than you did prior to owning a POC too. It makes it so that you can get back to living life more similar to how you did before your oxygen issues presented themselves. If you like the idea of being able to feel more physically capable, then you should certainly think about getting a POC. It can really change your life for the better and you will be a lot happier to feel more independent. As long as you take the time to pick out the smallest portable oxygen concentrator that is going to work best for your needs, you will feel so much better about life. This is a chance for you to get back to feeling more normal about things. A good POC can really change the way that you look at the world. It is something that can keep you safe and it isn’t so noticeable as many of the old-fashioned devices. You will feel very liberated when you gain access to the perfect POC for you.